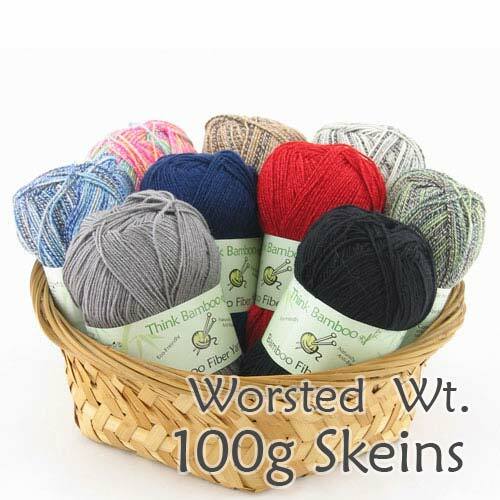 This worsted weight yarn is great for sweaters, scarves, afghans or many other garments. The bamboo gives a soft and silky texture, the wool and nylon make it stretchy enough to make a ribbing on the cuffs. Available in variegated color ways, this unique fiber blend is refreshingly breathable, environmentally friendly, and temperature self regulating. Machine wash/tumble dry low.